If there’s one thing that can ruin a good time on the water, it’s seasickness. While the majority of our guests here at Jervis Bay Wild feel great on their eco cruise, some of our guests worry about experiencing seasickness on the boat. 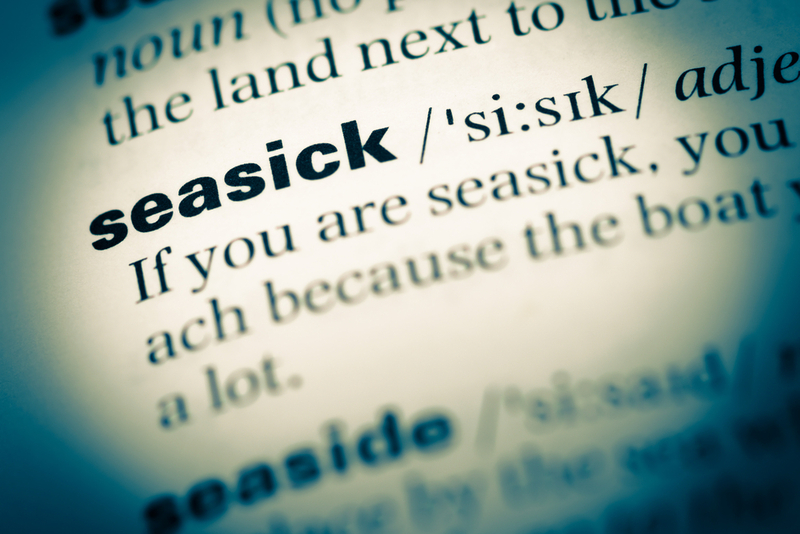 Seasickness is a type of motion sickness that is caused by a disturbance in your body’s inner balance system. While your inner ear is expecting stability, your eyes are seeing a very different motion. This causes an imbalance that manifests in the form of nausea or headache. While seasickness is not a pleasant experience, there are many steps you can take to improve your chances of avoiding it on the water. The clearest and quickest remedy for seasickness is to be prepared with the right medicines. Seasickness tablets or other anti-nausea medications can be taken orally to help prevent the onset of motion sickness symptoms. There are several varieties available in Australia. You should speak with your doctor to determine which medication might be right for you. Preventing nausea is easier when your body is feeling its best. Before heading out on your eco cruise, we suggest having only a small meal, and enjoying foods that you know your body “agrees” with. Greasy foods or overly large meals can exacerbate seasickness symptoms. You may also wish to bring along a small, bland snack to keep you satiated. Dry crackers are a good suggestion. Ginger is often heralded as one of the most powerful anti-nausea remedies, and it is all-natural. There are countless products on the market containing ginger which may be of help to you while at sea, including ginger candies (both chewy and hard), capsules, tea, or extracts. You could also try raw ginger. It is said that fresh air works wonders, and it is true. The smell of the sea air is naturally healing and therapeutic, and even in the throes of seasickness, this can help you to feel better, faster. Keep away from strong odors such as perfumes or smoke. Aromatherapy, however, may prove helpful. Some individuals swear by certain scents or essential oils. If you experience seasickness, it is worth considering this remedy. Keeping your body well-hydrated is a major step towards avoiding seasickness. Dehydration lowers your resistance to motion sickness, so have plenty of water before boarding the boat and while on the water. It’s also advisable to minimise or avoid alcohol, as this contributes to dehydration and balance issues. If you’re concerned about becoming sea sick on your eco cruise, you’ll want to take a few measures to set yourself up for success. Face forward on the vessel as much as possible. Sit closer to the front than to the rear. Have a look at the horizon frequently, as this can help give you a stable point of reference. Standing up can help prevent nausea, too. Some sufferers of seasickness claim that other options work wonders for them. Wrist bands that are worn while on the water can target a pressure point on your wrist which is said to keep nausea at bay. Other sufferers swear by a patch that is adhered to your skin and delivers medicine during the trip. By keeping the above tips in mind, you should be able to stave off the unpleasant experience of seasickness. Our wildlife eco cruises are a wonderful adventure not to be missed. We hope to see you onboard with us soon in Jervis Bay. The tips above are not meant to be a substitute for medical advice. Always consult with a physician regarding medications or health advice.